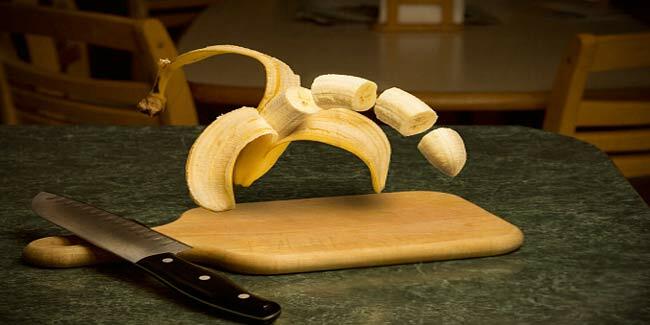 Banana is very beneficial for children. Banana is an excellent natural remedy for cough. It can also be used by adults. It is tasty, healthy and nutritious. Consumption of bananas is extremely beneficial for the body and the mixture of the banana cream with water is an excellent remedy that helps in cough and also treats persistent cough and bronchitis. It is highly effective when given to children and can also be used by adults. This banana cream is healthy, delicious and also has a nourishing beneficial effect on the stomach. In case your child suffers from sore throat and coughing, try giving him the banana water mixture, which is even easy to make. Following is the recipe on how the banana cream is made. Peel of the bananas you have taken and mash them. After this, add sugar in the mashed banana and stir well. Pour the boiling water in it and let it stand for 30 minutes. In case you plan to use honey, make sure you add it in the end after the mixture cools down. Before consuming it, gently heat the mixture and have it four times a day (100ml). In order to treat the problem, make a new dose each day and the chances are, cough would stop in few days without having to use any costly drug. Banana is a fruit that is low in glycemic index and being soft in nature, it is easy to swallow. It has a high profile of potassium, vitamin C and B6.